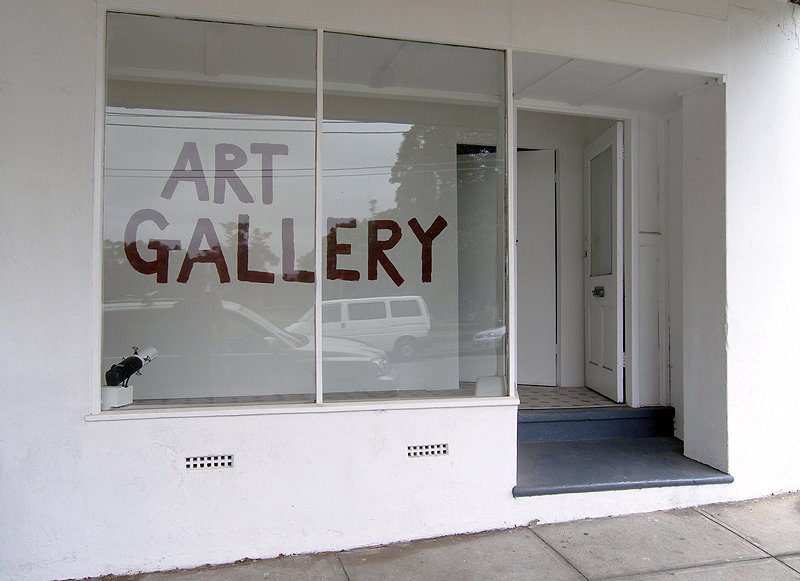 Art galleries range from large, highly visible, institutionally funded and critically acclaimed edifices to DIY affairs selling predictably conventional paintings, photographs and art objects. 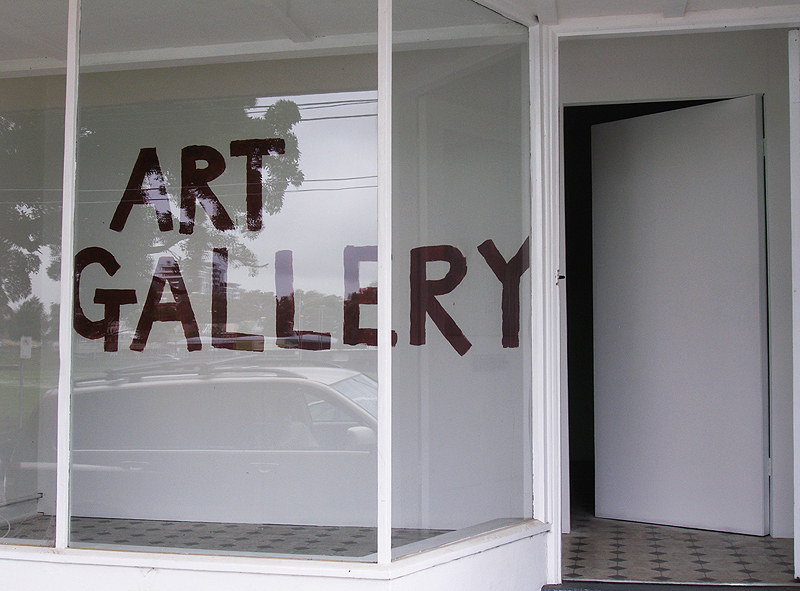 Given the immense disparity this spectrum suggests, what is it that defines an art gallery as such? Is self-declaration enough? Such questions inevitably lead to the many issues raised by legacies of institutional critique and their relevance today. Indeed, in today’s worlds of art there are many who have again become comfortable with forgetting those (inconvenient) ‘extraneous’ legacies, merely going about the ‘business’ of making and exhibiting art. Nonetheless, it is impossible to simply expunge the irresolvable tension that exists between the role of institutions and contemporary possibilities of autonomy: surely the latter cannot be simply ‘accommodated’ by the former at the same time as the former undermines the latter. Thus the relationship cannot be formally equitable either, ‘a collaboration’, for in the mediated scheme of things, the institution will always hold the upper hand. That is not to say the institution is necessarily a mindless monster either. Certainly the ‘institution of art’ exits outside its most visible representative entities. The point therefore is not to discount the important role of institutions but more precisely to acknowledge that art’s relationship to its institutions will always be both complex and fraught. Too often these days recognition of such tension is entirely dissolved, by artists and ‘arts workers’, for the benefit of the institution at the expense of art’s remaining capacity for legitimate and autonomous questioning of its framing. With notions of this sort in mind, ‘Known Knowns’ is a deliberate overstatement, a literally literal doubling of a pre-existing fact. The work came about after hearing a mother outside the gallery reply to her son, who queried her about what the space was, telling him it was a ‘shop’. This was regardless of the fact that the gallery at the time was exhibiting paintings and drawings, the most reliable indicators of art’s presence. In response, ‘Known Knowns’ does not do what it should as art by automatically fantasising the (ultimately institutional) space within the gallery as necessarily somewhere else. Instead, the work overstates the art gallery’s existence as absolutely incontrovertible. 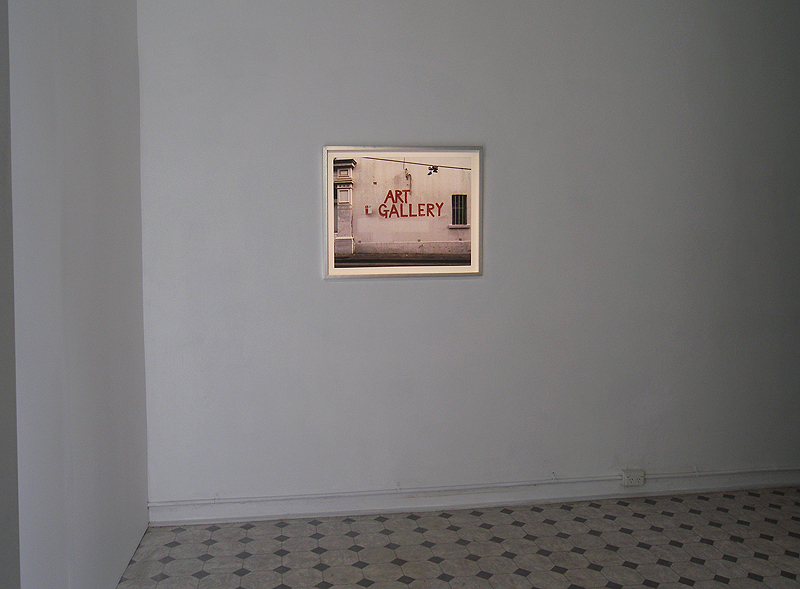 Now the art gallery conceals nothing; what is exhibited in the gallery is the gallery’s self-awareness of itself. 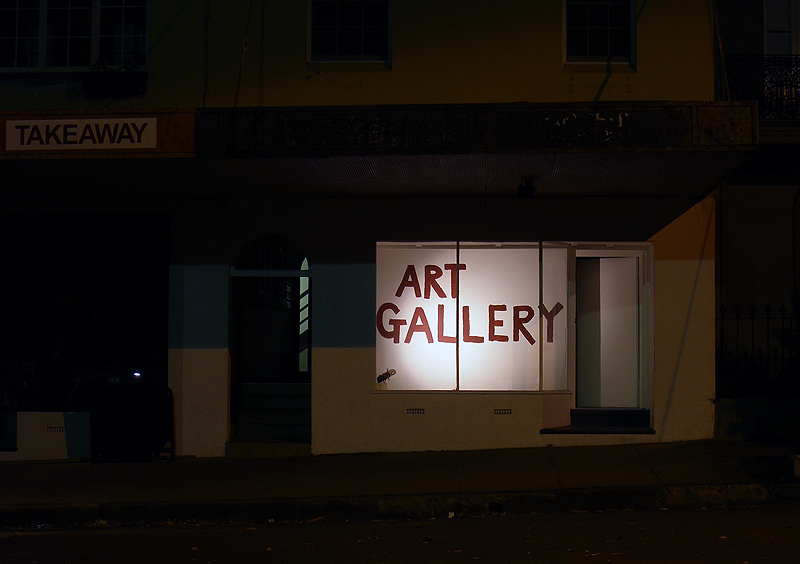 Subverting the standard expectation of the art gallery as a haven for ‘the imagination’, here the gallery states only its presence. 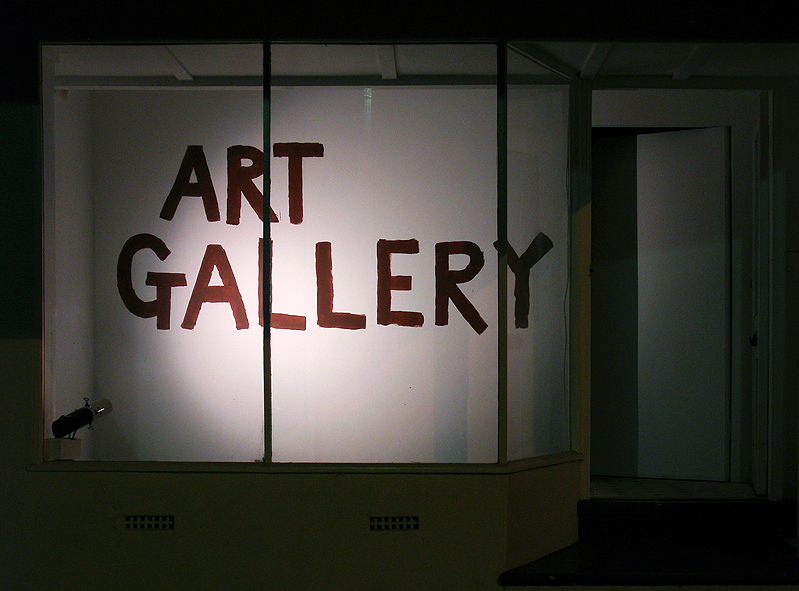 At the same time, it alludes to an underlying anxiety founded on the potential inability of galleries to say anything else: what is there to say when everything has been said, when an ‘art gallery’ is always already simulacral? 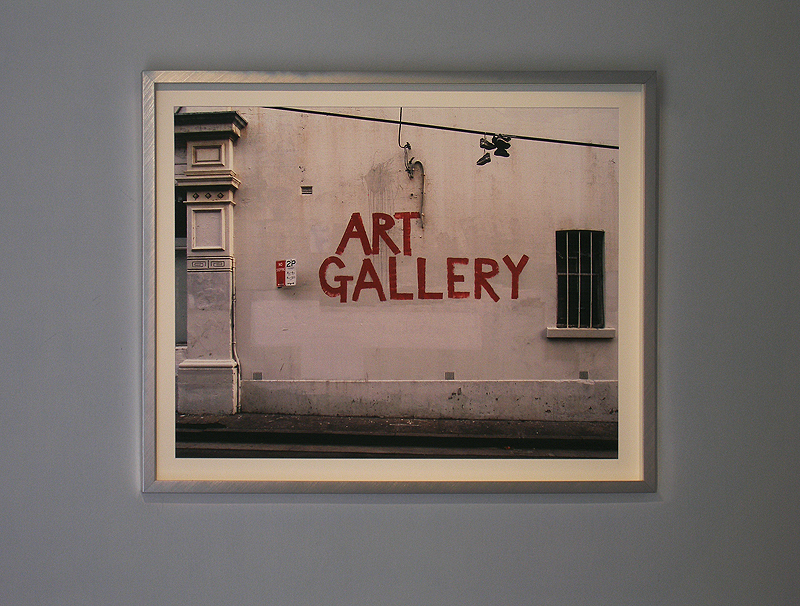 Moreover, what does an art gallery primarily exhibit if not its ‘art galleryness’? In the end, it is the perceived attribute of ‘art galleryness’ that permits a space, any space potentially, to be recognised in this way. Furthermore, in a contemporary world granting little time for reflection or ‘purposeless’ activity, actual contemplation is replaced by instant visual impact or with narrative legibility; the literal becomes a temporal short cut attuned to a scenario where genuine thinking is habitually reduced.